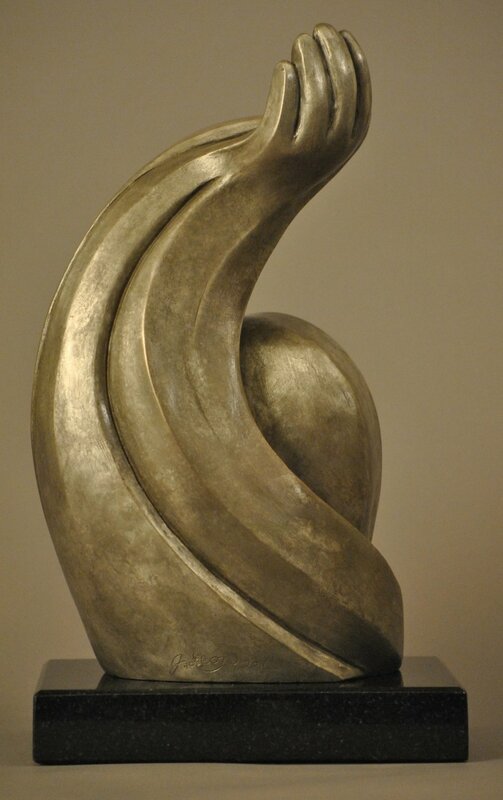 I designed this bronze, sculpture award for The Visiting Nurse Association by combining elements from their logo: the heart, helping hands, and a sheltering home. 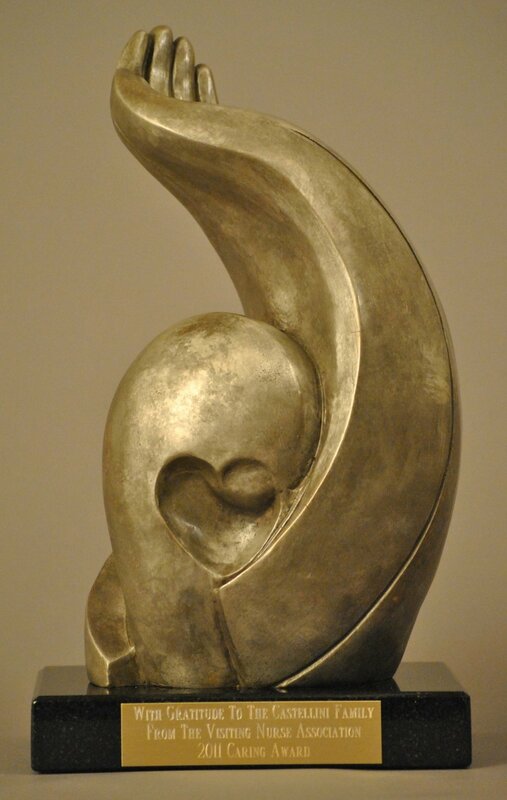 The upward reaching, open hand suggests both giving & receiving; the heart & the head-like forms are sheltered in the curve of the up swept "arm". Two awards were given each year from 1998 to 2011. Bronze with Silver Nitrate Patina. 11 x 6 x 4.5 inches plus base.